Veeres Friendship Anthem Veere is Here and has already hit 6 million views! After the release of the first song Tarefaan and the subsequent Bhangra Ta Sajda created great buzz, the makers of the Kareena Kapoor Khan, Sonam Kapoor, Swara Bhaskar and Shikha Talsania starrer Veere Di Wedding have released the title track of the film, Veere and it has already hit over 6 million views! The song portrays the bond that the four friends have with each other. Composed by Vishal Mishra, the song is sung by Vishal Mishra, Aditi Singh Sharma, Lulia Vantur, Dhvani Bhanushali, Nikita Ahuja, Payal Dev and Sharvi Yadav. 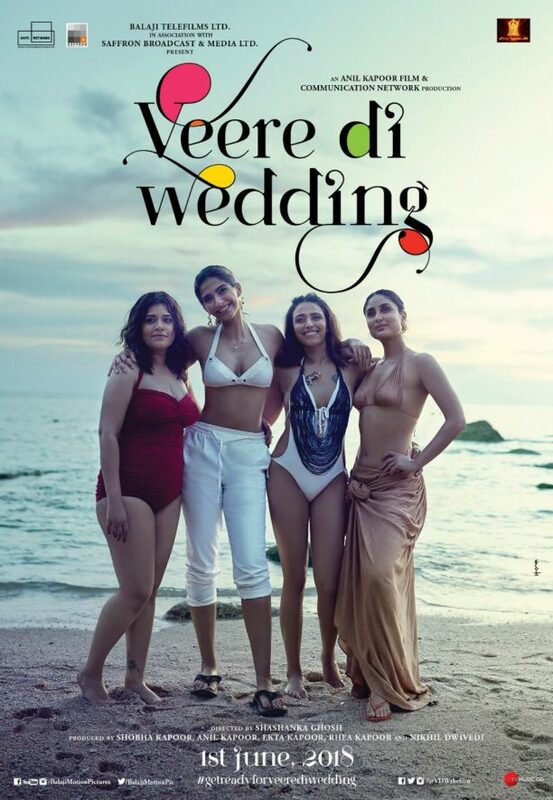 Produced by Rhea Kapoor, Ekta Kapoor and Nikhil Dwivedi, Veere Di Wedding is directed by Shashanka Ghosha and releases in cinemas on 1st June 2018. 15 queries in 0.521 seconds.